Tennessee's big win over the Patriots helped the Titans to make a big move in our playoff odds, while a bad weekend for the Eagles led to a move in the wrong direction. Not only was Tennessee's victory over New England on Sunday one of the week’s most impressive and surprising wins, it was also a win that made a huge impact on the playoff picture. 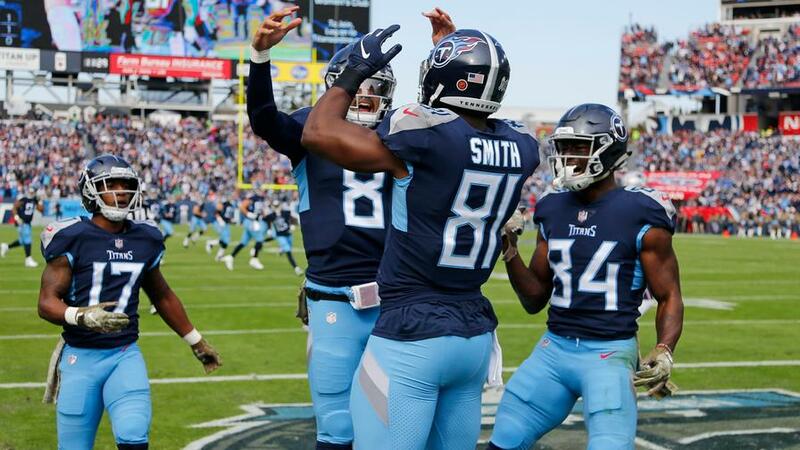 The Titans beat the Patriots 34-10 to improve to 5-4 on the season, and also saw their playoff odds increase by 28.4%, the biggest improvement of the week. They are still technically on the outside looking in at the playoff picture but their upset win, combined with losses from the Bengals and Dolphins, has them clearly in the mix. On the down side of things, Philadelphia saw its odds plummet by 37.7%, thanks to a loss to the Cowboys and a win from Washington. Even with the big win this past weekend, the Titans still have a lot of work to do, as our models still see them as more likely than not to miss the playoffs. Cincinnati, Miami and Baltimore all have a better conference record than Tennessee’s 3-4 mark against the AFC, which is the first tiebreaker after head-to-head record. 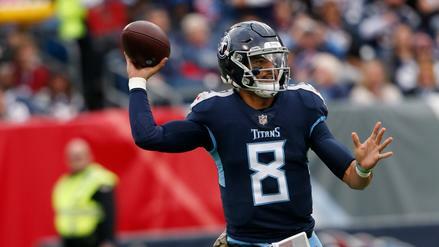 The Titans’ remaining schedule is not incredibly daunting, but it does include two games against surging Indianapolis (16th in our power rankings) and a trip to No. 13 Houston. Their other games are home tilts against the No. 30 Jets, No. 24 Jacksonville, and No. 20 Washington, and a road game against the No. 25 Giants. Tennessee is No. 18 in our model, based largely on concerns about its inconsistent offense. 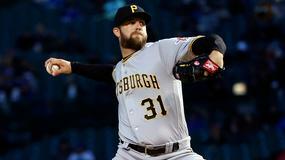 Sunday started on the right foot for Washington, which beat Tampa Bay to maintain its hold on first place in the NFC East. That position got even more secure after the Sunday night game, as the Eagles lost to Dallas, putting both teams two games behind Washington. 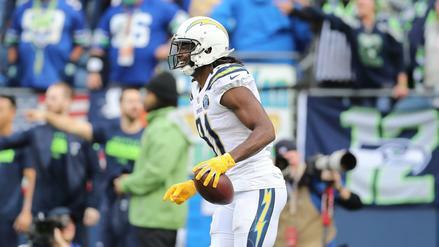 Coach Jay Gruden’s team may not be one of the league’s best -- they are just 20th per our power rankings -- but thanks to that two-game edge and a forgiving schedule, we give Washington a 60.7% chance of winning the division (four of its remaining opponents are rated as below average by our model and none of the seven teams it has yet to face rank higher than 13th). The Packers took care of business against the Miami Dolphins on Sunday, but that was the expected result. More importantly for Green Bay was the fact that most of the NFC’s wild card contenders did not take care of business, as Carolina, Atlanta, Seattle and Philadelphia all lost. They are still on the outside looking in, but now have no one standing between them and Minnesota for the NFC’s final wild card slot (the 5-3-1 Vikings were on their bye). The results on Sunday decimated Philadelphia's chances of winning the NFC East, as the Eagles now trail Washington by two games and are also technically behind Dallas due to the head-to-head loss. Washington is also 2-0 in the division, while Dallas is 2-1 and the Eagles are 1-1. Philadelphia also has remaining road games at New Orleans (this week) and the Rams, while Washington and the Cowboys both have easier schedules. The combination of these factors leaves the Eagles' chances of repeating as division champions at just 25.6%. The Bengals would be in the playoffs if the season ended today, but Cincinnati has not always looked the part this season, and this was particularly true on Sunday. 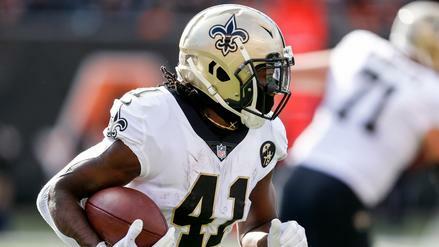 New Orleans beat the Bengals 51-14, dropping their record to 5-4, their point differential to minus-53 and their spot in our power rankings to 22nd. Their hold on the 6 seed is now tenuous at best, as it is reliant on having a better conference record than Tennessee. Cincinnati also has three road games remaining against teams in the top 10 in our power rankings (the No. 3 Steelers, No. 5 Ravens and No. 7 Chargers), so it is not hard to see why their playoff odds are now so low. Unlike the other teams that experienced big drops in playoff odds over the weekend, Carolina is still in pretty good shape as far as the postseason is concerned. The Saints look like they will cruise to the NFC South title (Carolina’s division odds are just 7.9%) but the Panthers hold the No. 5 seed in the NFC and have a 1.5-game edge over the Packers (the NFC team in the best position among those on the outside looking in). Carolina has two remaining games against the Saints and a home game against No. 9 Seattle, but no other games come against teams we rate as above average.